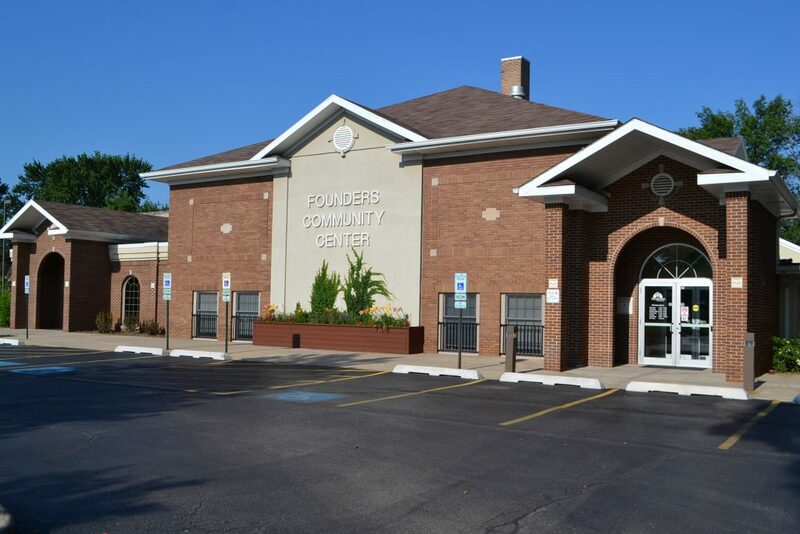 The Founders Community Center is the park district’s main facility; it houses the administration office, five meeting rooms/classrooms, a gymnasium, dance studio, kitchen and a large banquet room. A majority of the Park District recreation programs are held at the Founders Community Center. This includes youth and adult arts and crafts classes, adult fitness programs, youth basketball and volleyball, cooking classes, hang time and many special events. The Founders Community Center was originally built in 1925 as the Frankfort School building, additions were made including adding a gymnasium in 1938. 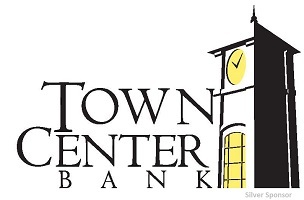 In 1995 the Park District purchased the building and with a few upgrades and a small addition the building became the Founders Community Center. For more information on the various programs held at the Founders Center be sure to visit the Programs section of the web site. The Founders Community Center is locatedat 140 Oak Street. Click here for directions. Located at Elise Blvd. west of Mary Drive. Brookmeadow Estates subdivision is home to a beautiful new park featuring a playground, plenty of open space, and a walking trail that surrounds a five-acre pond. For everyone’s safety, swimming, boating, ice fishing or ice-skating is prohibited on Park District Ponds. Click here for directions. This quiet 5-acre neighborhood park features two baseball fields, a playground with swings and a paved trail. There is lots of open space for running and playing, and a natural spring fed pond. For everyone’s safety, swimming, boating, ice fishing or ice-skating is prohibited on Park District Ponds. 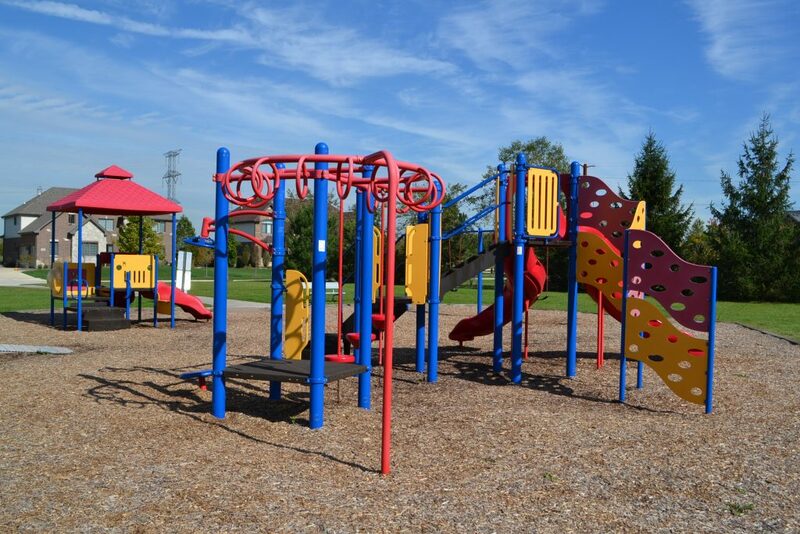 Sandalwood Park is located at 116th Ave. & Sandalwood Drive. Click here for directions. 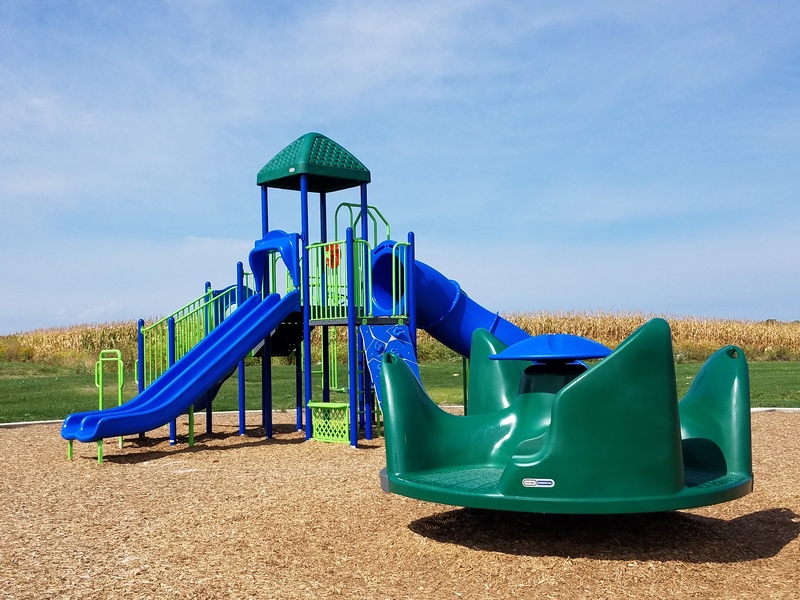 Located at the corner of 116th Ave. and Netherby Way in the Misty Falls subdivision, Janssen Park has many new features including a playground, swings, picnic shelter, walking trail, and a 3.5 acre pond with a fishing pier. The site is beautifully landscaped and was officially dedicated in October 2010. For everyone’s safety, swimming, boating, ice fishing or ice-skating is prohibited on Park District Ponds. Click here for directions. Jackson Creek Park is located on Wolf Rd 1/2 mile south of Laraway Rd. This park features a 4-acre pond adjacent to the headwaters of Jackson Creek stream. 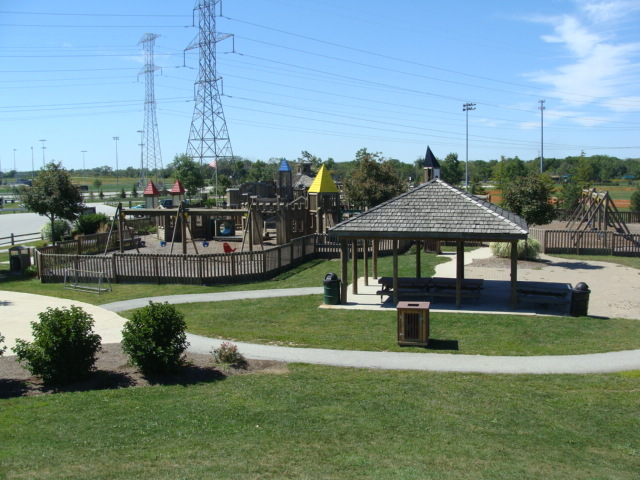 The park is also home to softball fields, a skate park, basketball hoops, a fishing pier, and a walking trail. The Frankfort Park District has been awarded a 2010 United States Environmental Protection Agency award for the native prairie habitat surrounding the pond. For everyone’s safety, swimming, boating, ice fishing or ice-skating is prohibited on Park District Ponds. Click here for directions. 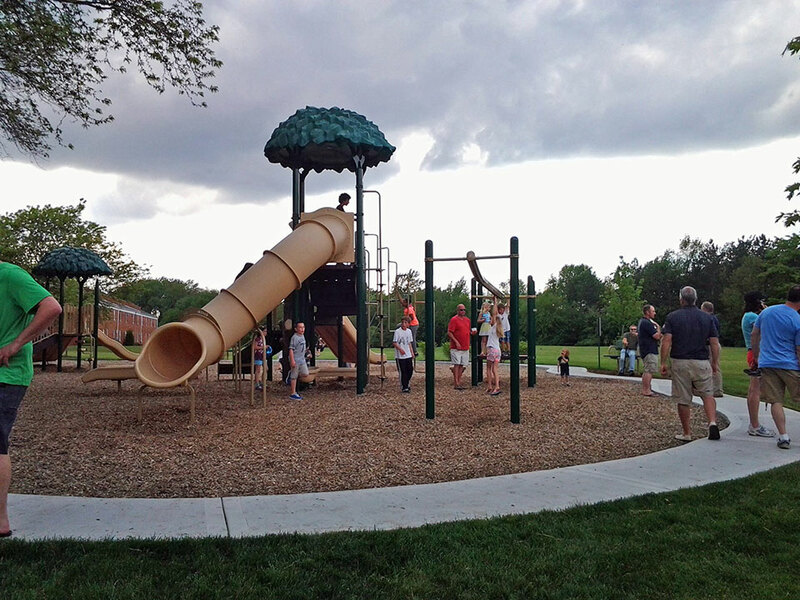 This 5-acre neighborhood park has a playground with swings, a sand volleyball court, a softball field, walking trail, and plenty of open space. 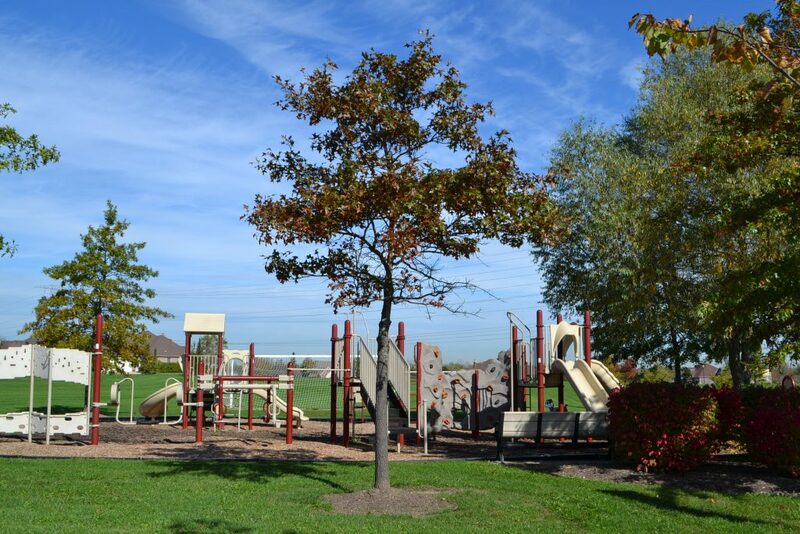 Heritage Knolls Park is located at Heritage Drive & Parkway Lane. Click here for directions. This 4.5-acre neighborhood park has both a baseball and soccer fields. Direct access to Old Plank Trail and plenty of parking makes this a popular park for walkers, joggers, and bikers. 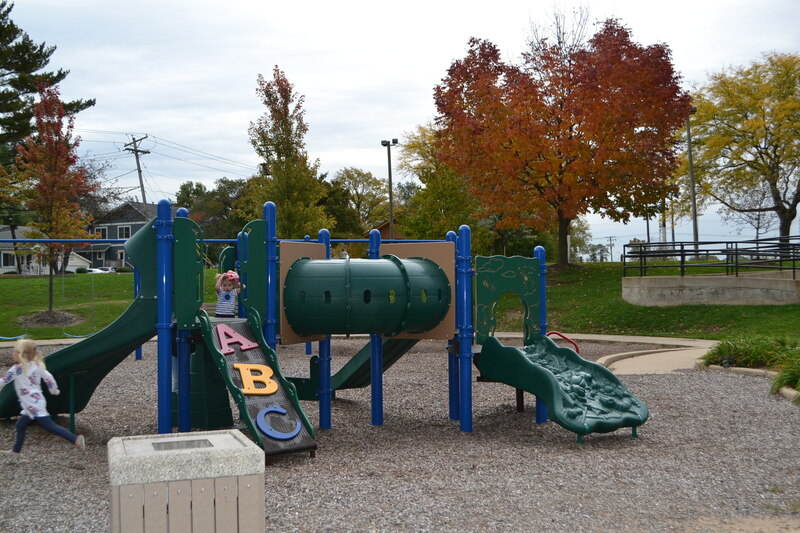 Michele Bingham Park is located at Elsner Road & Old Plank Trail. Click here for directions. 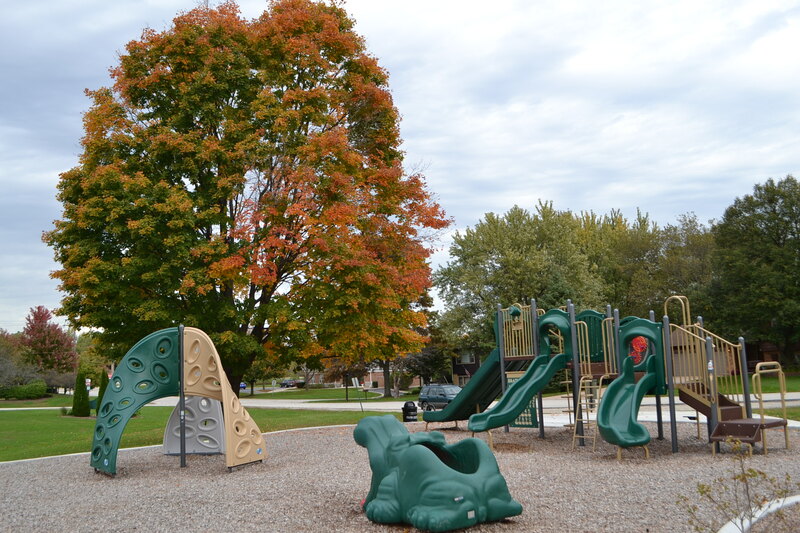 This unique neighborhood park features three playground areas surrounded by towering oaks, maples, and natural wooded areas. Butternut Park has a walking trail that meanders through the trees and connects directly to Old Plank Trail. A picnic shelter and large open green space make this a great location for a fun day in the sun or shade. Butternut Creek Woods Park is located at Cedar Road & Lincoln Lane. Click here for directions. This 2-acre neighborhood park has a softball field, a playground with swings, and plenty of open space. 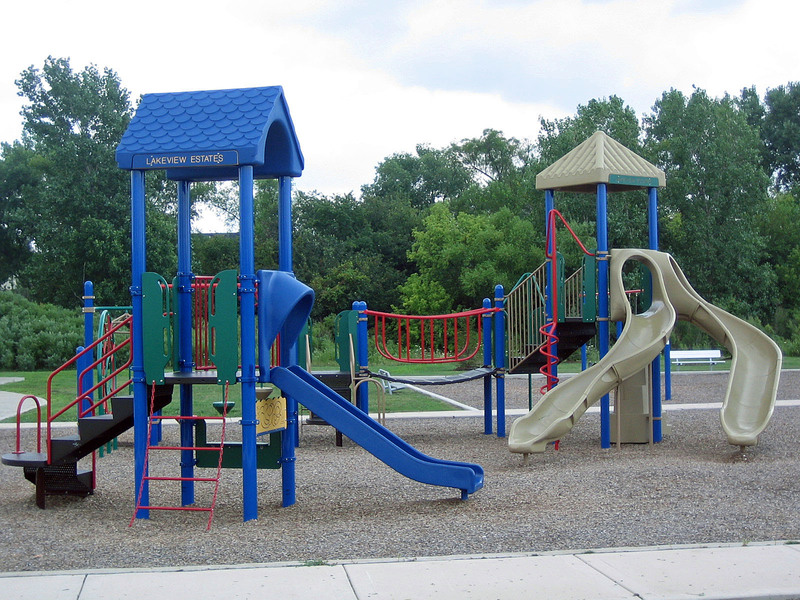 Lincoln Meadows Park is located at Johnson Ave. & Elm Street. Click here for directions. 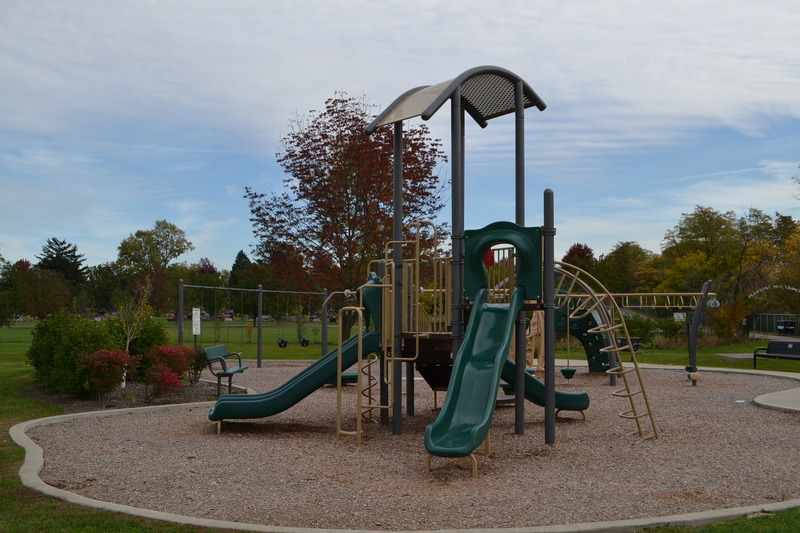 This 25-acre community park is Frankfort’s oldest and most active park. 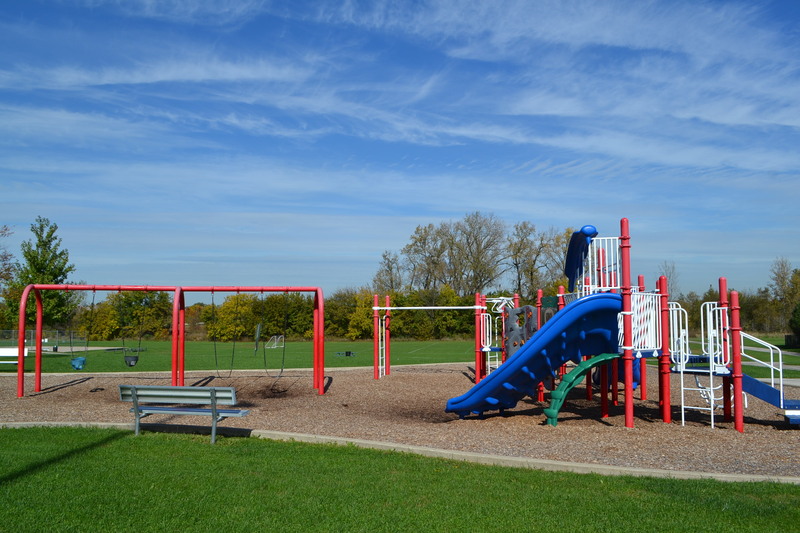 Renovated in 2007 Main Park features a large playground, baseball and softball fields, and is home to the Frankfort Falcons Football organization. The Park’s two picnic shelters with restrooms may be rented for parties and gatherings and lighted tennis and volleyball courts are open to everyone. For those who don’t mind the cold, a newly constructed lighted ice rink is the latest addition to Main Park. The rink welcomes open skating and is lit from 5-9pm daily while weather allows. Concessions are available from 5-9pm on Fridays and Saturdays. Main Park is located at 400 W. Nebraska Street. Click here for directions. 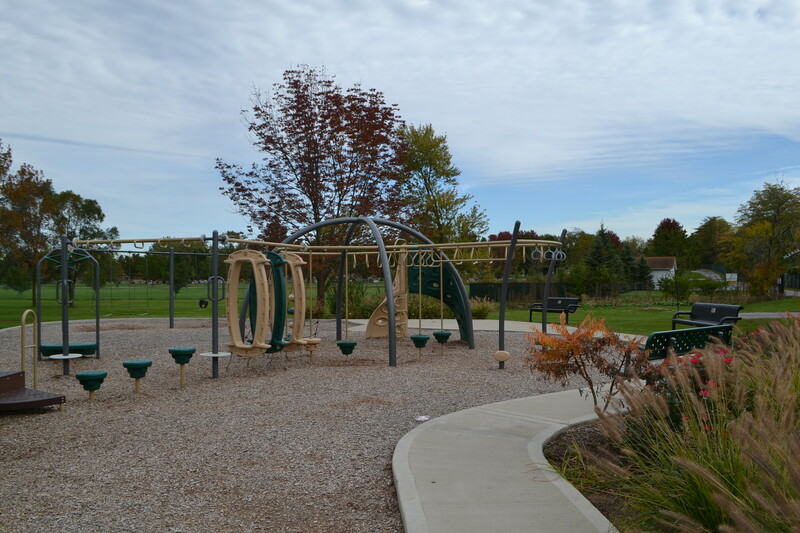 This 6-acre community park has a large playground with swings, a softball field, picnic tables, and a lot of open space for running and playing. There is also great access to the Old Plank Trail from this park. Indian Boundary Park is located at Nebraska Street & Luther Lane. Click here for directions. Set among the gently rolling hills of this park is a playground and gazebo. 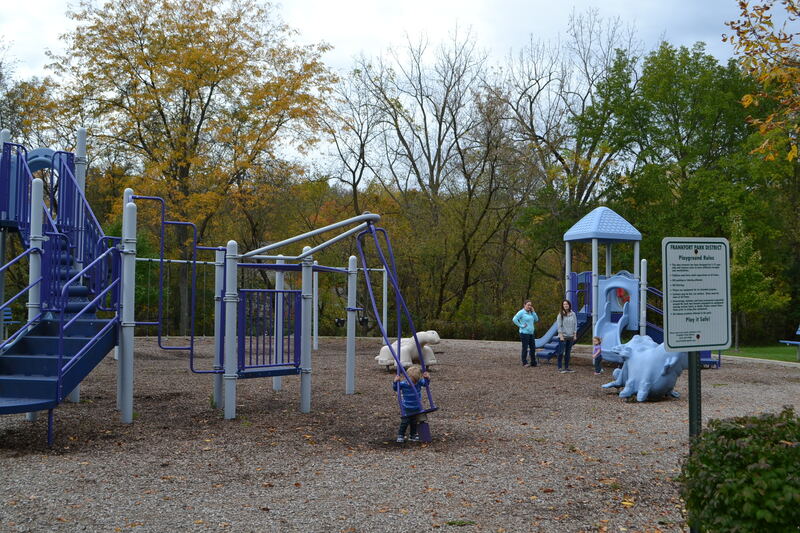 Windy hill has direct access to the Old Plank trail and the openness of this park means there is plenty of room to run and play. 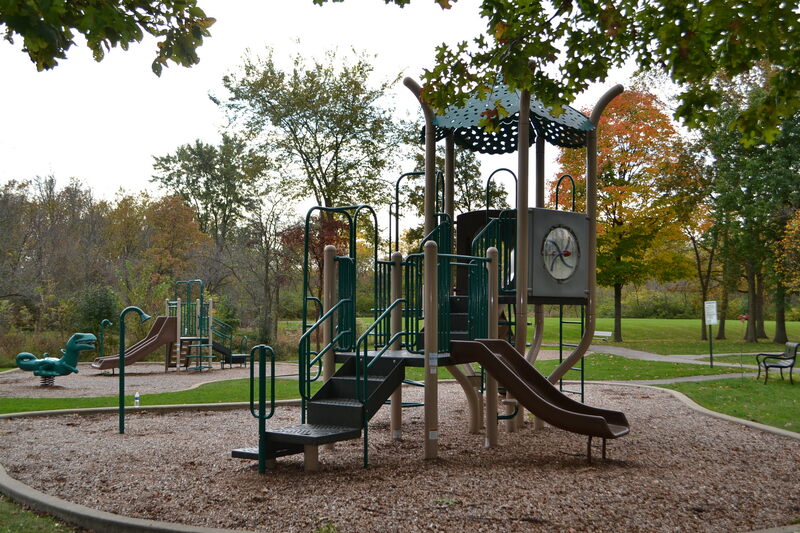 Windy Hill Park is located atPfeiffer Road & Charrington Road. Click here for directions. 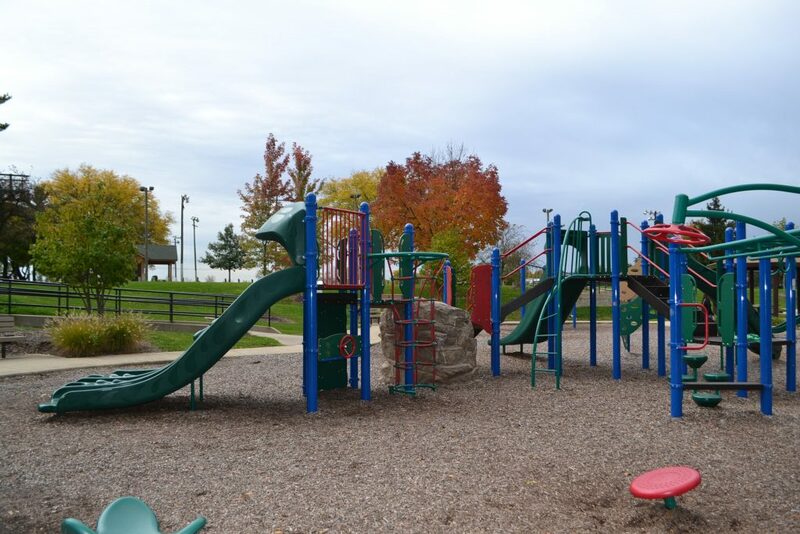 The largest park in the district, this 60 acre site is home to many amenities such as softball, baseball, and soccer fields, tennis courts, the Splash Pad water park, the award winning community built Fort Frankfort, concession and restroom facilities, the Frankfort Bark Park, and the only lighted sledding hill in the area. All these features are connected by a 1-mile walking trail. Commissioners Park is located at 22108 S. 80th Avenue. Click here for directions. 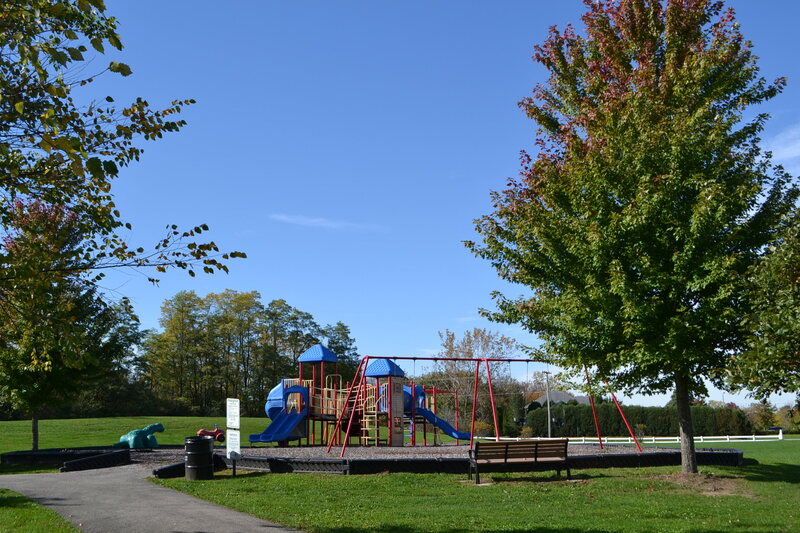 This neighborhood park has a playground and swings, a picnic shelter, baseball field, open green space, and a 7-acre pond with a fishing pier. The Park is located in the Lakeview Estates subdivision and is connected via walking trail to Lakeview South Park. For everyone’s safety there is NO swimming, boating, ice fishing or ice-skating on Park District Ponds. Lakeview Estates North Park is located at Pineridge Drive & Callista Drive. Click here for directions. This neighborhood park has a playground and swings, a picnic shelter, and lots of open space and a 10-acre pond with a fishing pier. The Park is located in the Lakeview Estates subdivision and is connected via walking trail to Lakeview North Park. For everyone’s safety, swimming, boating, ice fishing or ice-skating is prohibited on Park District Ponds. Lakeview Estates South Park is located at Madeline Lane & Lakeview Estates Road. Click here for directions. This quiet park has a playground, shelter, soccer field, and a small baseball field. 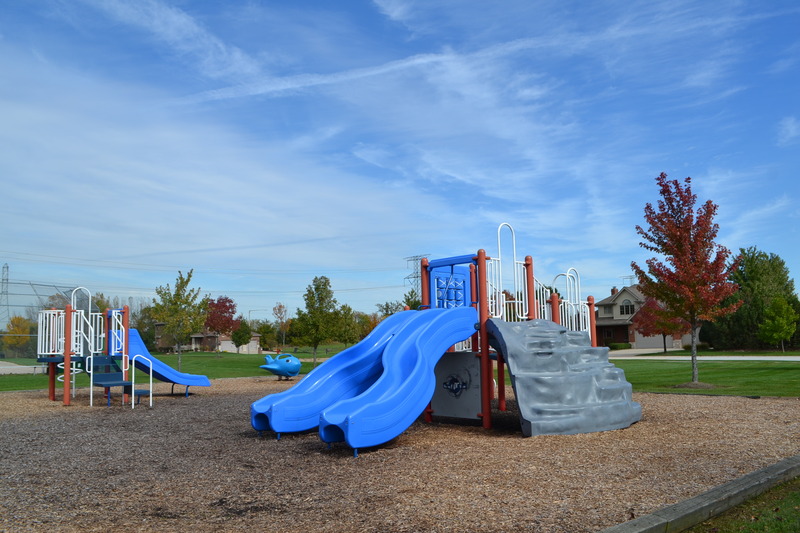 The Park is located at S. Oakfield Drive & Pineview Lane in the Timbers Edge subdivision. Click here for directions. 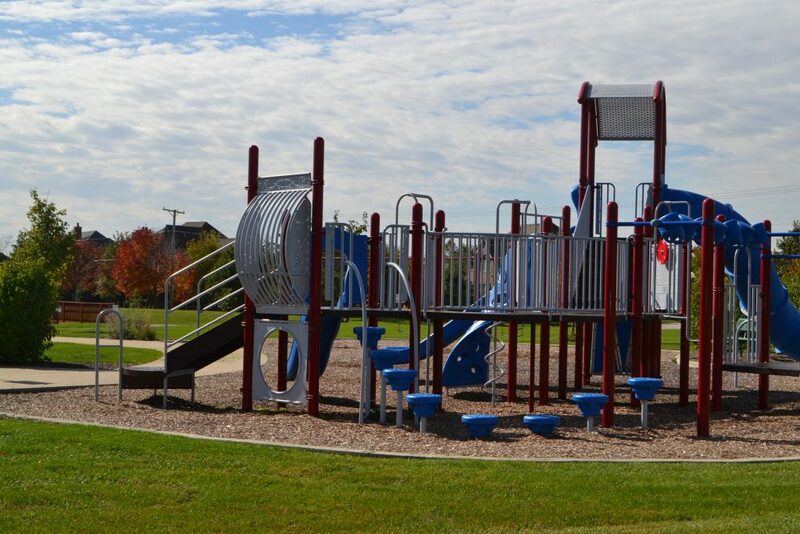 This lakeside park is located in the Cardinal Lake subdivision on Cardinal Lake Drive & 108th Ave. 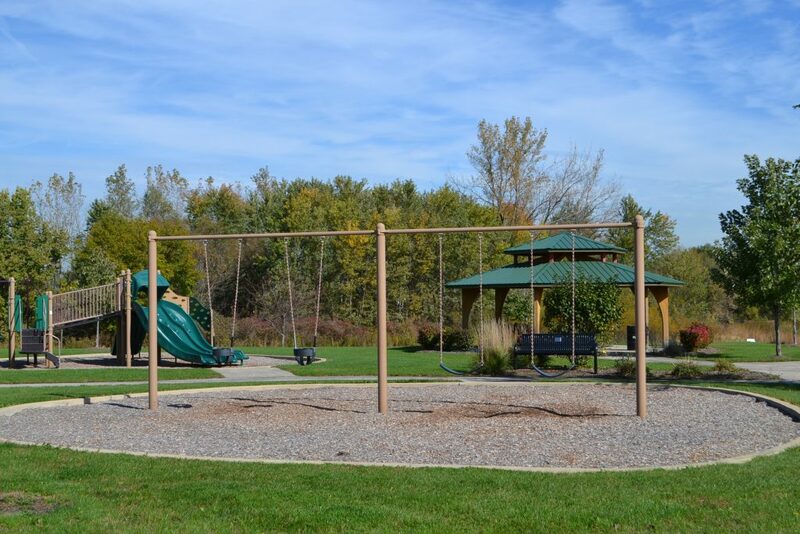 The park, which is named in honor of the Kohlhagen family who originally owned the land, includes a playground with swings, lots of open space, a 4.5-acre pond, and nearby access to the Old Plank Trail. For everyone’s safety, swimming, boating, ice fishing or ice-skating is prohibited on Park District Ponds. 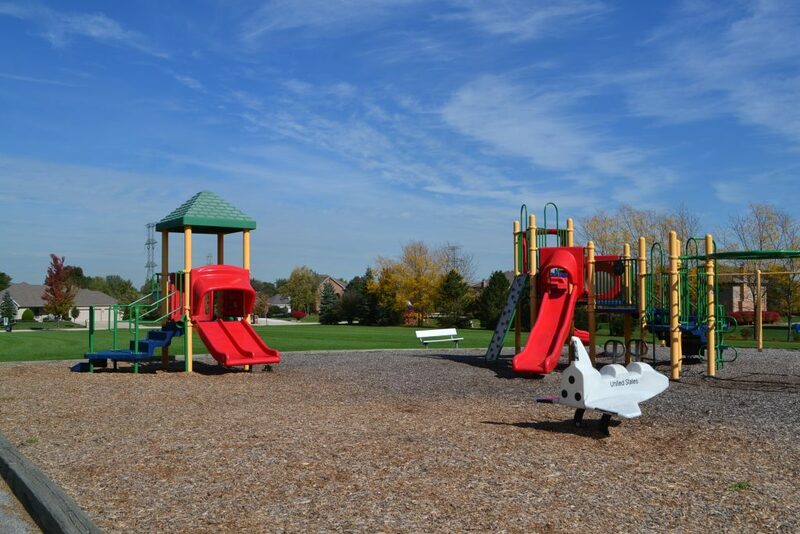 This 3 acre park is located at the intersection of Pineridge Drive & High Stone Way in the Stone Creek subdivision. This park has a new multi-age playground which includes a play structure, a revolution inclusive spinner and swings for both youth and toddlers. Sara Springs is a seven acre, open space site located east of Jackson Creek Park. 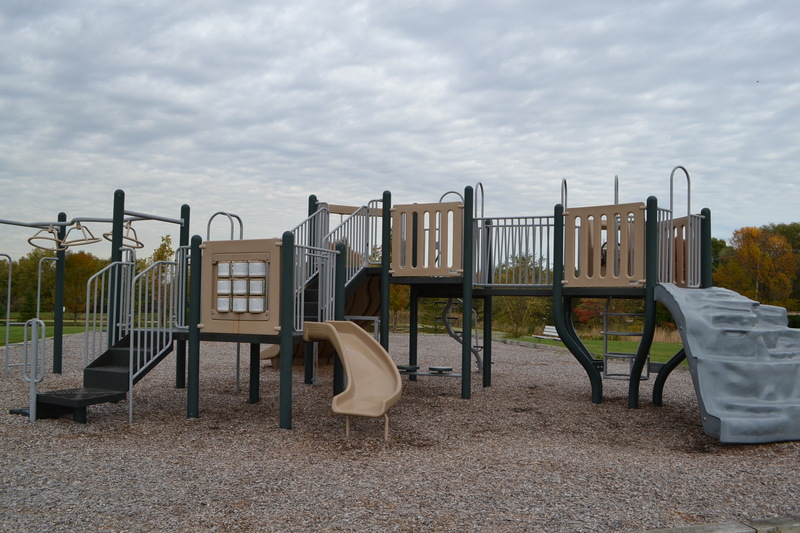 It is accessible from the walking trail at Jackson Creek Park. Sara Springs Park is located at 22724 S. La Grange Road. The Puent Building was the park district’s first facility. The building was purchased in the early 1970’s from the American Legion. This building acted as the administration office and pre-school as well as the site for a majority of the park district programs. 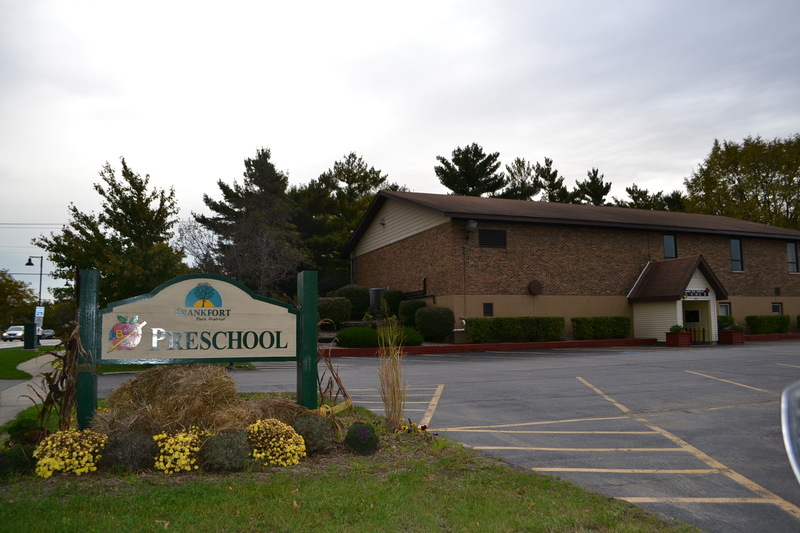 In 1995 when the park district purchased the Founders Center, the Puent Building became the home of an expanded pre-school program. Today more than 125 children ages 2 ½ – 5 years old are enrolled in our pre-school program. The Puent Building is named after Susan A. Puent who was the Director of the Pre-School and a teacher for 12 years. Her hard work and dedication contributed to the growth and success of the Frankfort Park District’s Pre-School program. For more information on the pre-school program you can visit the Programs section of the web site. The Puent Building is located at 400 W. Nebraska Street. Grand Prairie Elementary School is the home of Kindergarten, 1st, and 2nd grade students along with the administration office for School District 157-C. The School was originally constructed in 1996 and due to the rapid growth of Frankfort an addition including a new gym and additional classrooms was completed in 2002. The park district uses Grand Prairie Elementary School for Prairie Care before and after school program and youth athletic programs including volleyball, basketball, and indoor soccer. Grand Prairie Elementary School is located at 10480 W. Nebraska Street. Hickory Creek Middle School was completed in 2006 and welcomed its first group of 6th, 7th and 8th grade students in August of that year. This state of the art middle school is built to handle up to 1300 students and will serve as an additional programming site for the Park District as needed. Hickory Creek Middle School is located at 22150 116th Avenue. Click here for directions. 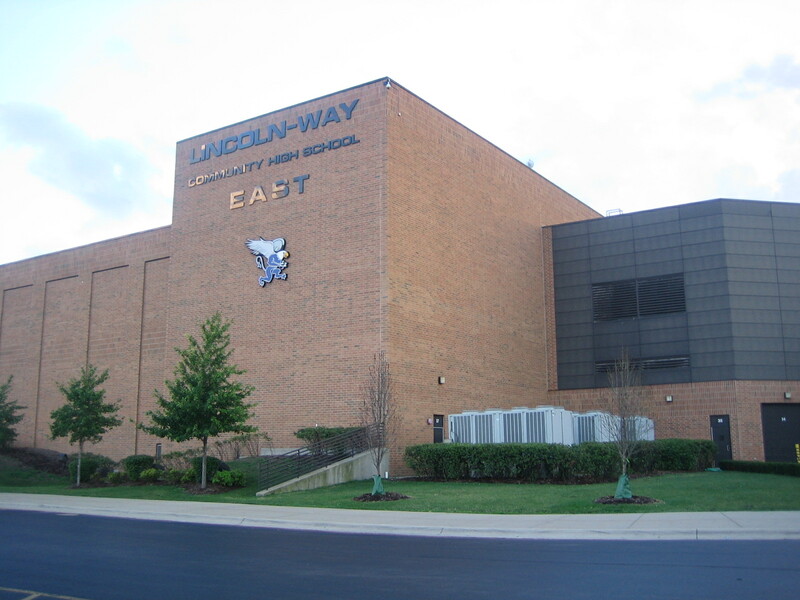 Lincoln-Way East High School is home to 9th through 12th grade students in School District 210 from Frankfort, Mokena, Frankfort Square and a small portion of Tinley Park.